I believe hypnosis is one of the best tools for a writer to have in their writing toolkit. Many writers suffer from anxiety, procrastination, fear of failure, fear of success, and perfectionism, just to name a few. This anxiety and fear build up to create a phenomenon known as writer’s block, and it has crippled more than one great writer a time or two in the past. Anxiety is the number one reason for writer’s block, so it stands to reason that getting rid of anxiety should also get rid of the writer’s block. Hypnosis is a deep state of relaxation where the mind is guided to a quiet place of focus. In the case of a writer, the therapist will have the writer focus on an aspect of their story. This may be a character or a plot detail, but it is typically something specific. This focus helps block everything else out. Many a writer can tell you that they all have periods of self-loathing and negative rhetoric going on in their heads. This is because they all have some degree of perfectionism in them. Hypnosis helps replace those negative thoughts with positive ones through the use of positive suggestion. Writers often procrastinate because of fear. Sometimes they fear failure, sometimes they fear success, and sometimes they fear putting themselves out there for the world to reject them. Most writers go through all three at various times in their career. Hypnosis helps you overcome those fears through creative visualization. Once the therapist walks you through the breathing and deepening exercises, he or she may ask you to focus on your success – whatever that looks like to you – as you relax more deeply. Hypnosis uses visualization and positive suggestion as techniques to help you relax and unlearn negative behaviors while replacing them with positive ones. Hypnosis is a great tool for anyone who needs to develop confidence in their lives. We all know the subconscious mind is infinitely more powerful than the conscious mind, and your creativity comes from the full power of the subconscious. The trick to becoming successful with your creative endeavors is to tap into your subconscious. Hypnosis helps writers unlock that power through positive suggestions and affirmations. If you’re a writer struggling to tell your story, consider hypnosis. Your anxiety and fear will melt away, and you will begin to feel that focused feeling you get once you’re in a story and everything comes together perfectly. 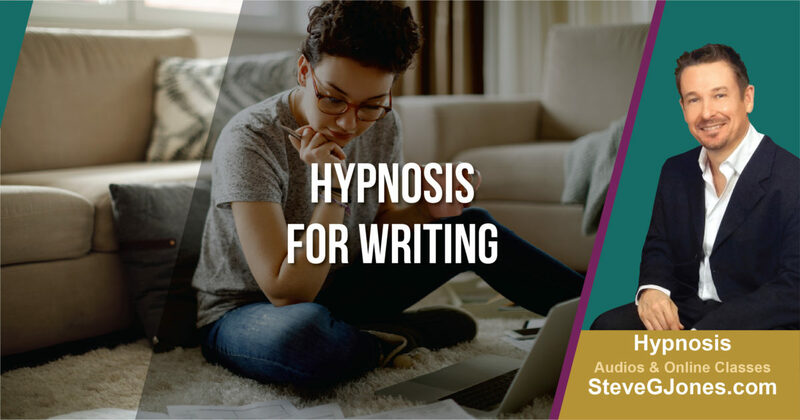 It’s not uncommon for writers to go into a trance when they write, and hypnosis can make that happen every time you sit down in front of your computer.